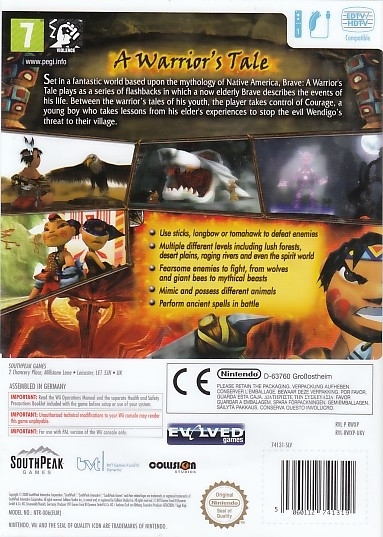 Someday I hope to find a truly great video game with a Native American as the main character. This is not that day. 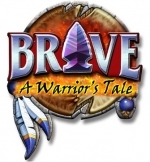 Brave: A Warrior’s Tale is the sequel to a similarly titled game on the Playstation 2. If this latest iteration of the series is any indicator, they probably should have quit with the first one while they were ahead. It is not acceptable to make a bad game under the guise that it is meant for children, because I doubt even small children could get through this game psychologically unscathed. Hopefully one day Southpeak will give this series some attention and make a game worthy of the unique and interesting setting they have chosen. Native Americans are fairly underrepresented when it comes to video games, so it is nice to get a chance to play a game about them, even if it is terrible. 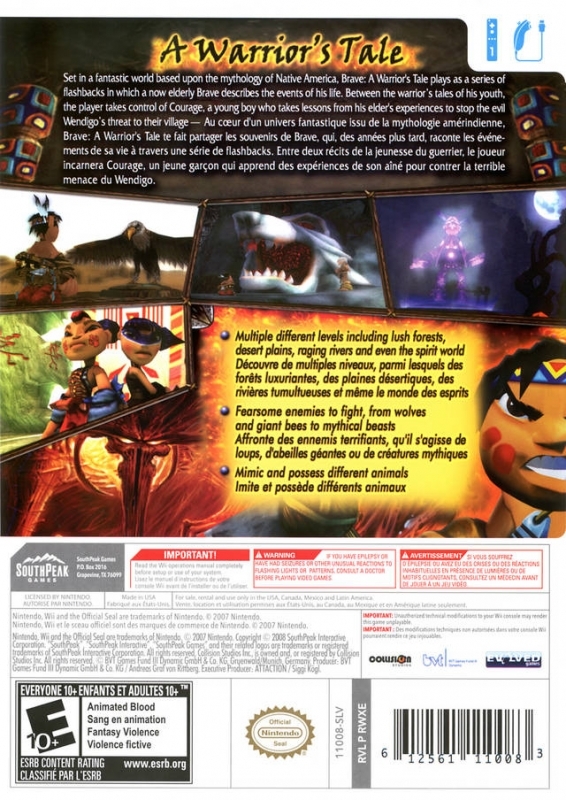 You play as Courage, a young Native American warrior (you can choose male or female) who is learning the ways of the warrior from the elder, Brave. When Brave retells the stories of his youth and how he came to destroy the mighty Wendigo that threatened his village, you will take control of a young version of him. This is how you will play through almost all of the game. The plot is terribly obvious as you go from one place to another on an endless fetch quest until you gain enough power to take on the Wendigo head-on. Character development is non-existent and the only real shocking twist in the game is not really shocking at all. Another issue I have with this story is that after you play through as Brave and unlock all of his shamanistic powers, he stops the story and has Courage collect totems for him before he will continue, but when you play as Courage you have all of the powers that Brave had. I find it hard to believe that all of these powers I worked so hard to obtain over several hours could be passed down by folktales alone. I mean come on, Brave had to catch a squirrel to learn how to even climb vines, but Courage just had to hear about it to gain the same ability. Brave controls like your average platformer, you use the nunchuck analog stick to steer yourself around and the A button to jump. You can double jump when in the air and also dive forward to give yourself just a little bit more length to your jumping distance. When on the ground, you attack things with the B button and you will later gain the ability to shoot arrows by pressing down on the directional pad. One thing that is direly missing is a way to control the camera while you run. You can set it behind you with the C button, and when you are standing still you can look around with 1 or make it swing around you with right on the directional pad. There is absolutely no way to swing the camera around while you move and the instant you start walking the camera will switch back to its original position. Horrible camera controls killed me more often than any enemy in the game. Speaking of enemies, the ones you face in the game are pretty underwhelming and do not seem to have much connection to the Wendigo. Mostly what you are killing are either bugs or wolves. Bugs put up absolutely no fight and even when faced with swarms you can just spam the B button as you dash right through them. Wolves take a bit more patience but can easily be dispatched by a bow and arrows once you obtain it. The only other enemies you usually run into are demons which require you to use a specific shamanistic power to defeat them and undead which you just have to wail on with your trusty tomahawk. 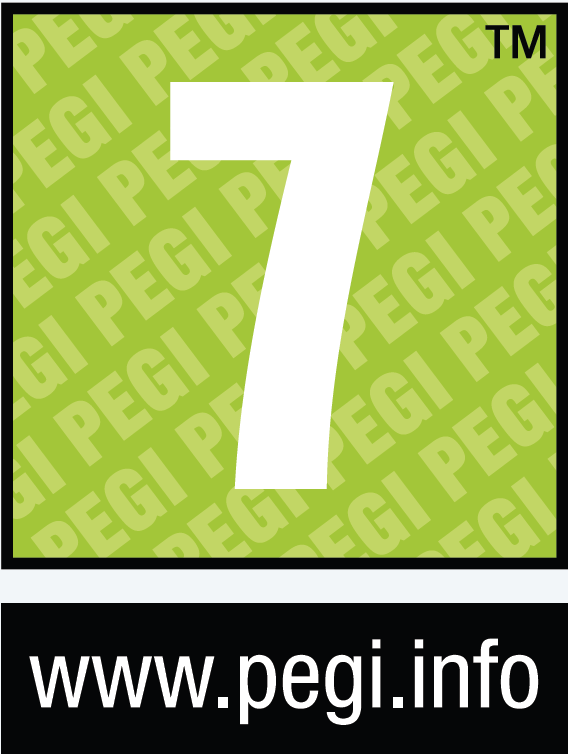 Shaman powers are obtained by collecting an item which is always obvious in each stage. They're activated by standing on pads which are always conveniently placed next to the enemies you will have to use them on. Sometimes these pads are placed in less than ideal locations, however, like right in the middle of 10 enemies that will constantly smack you down while you try to gain the power to defeat them. Whether or not the developers thought this was a legitimate form of adding challenge to the game I’m unsure, but it went unappreciated. The other important power lets you go into a charged mode where your attacks do more damage for a minute or so by pressing up on the directional pad. This comes with no discernable change in the character's model and you fill up the meter for this ability so fast that it soon becomes an instant “I win” button for any fight that is even close to difficult. Most of the game is mind numbingly easy with nothing to stop you from plowing through without thought. You will have the occasional misstep here or there, but when you die you come back at a checkpoint shortly before. Any enemies you killed will still be gone, so there is little reason to think carefully about your next move. Near the end of the game, though, there is a sharp increase in difficulty, mostly due to the strange platforming physics and horrendous camera. Brave has no discernible momentum to his jumps and only has one height setting for jumping. This means that it is incredibly hard to jump from one small platform to another right next to it. The last few sections of platforming that you do as Courage were infuriating as I tried to manage the camera in a way that would allow me to make a jump without dying for the thirtieth time. All in all, the gameplay is just plain bad. 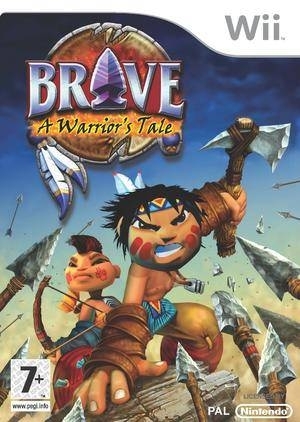 However bad the gameplay is, it is golden compared to the visuals and overall presentation in Brave. Everything you come across is an obvious polygonal construct with some of the most disgusting textures I have seen since the Nintendo64 era. You end up ignoring what the textures look like and just trying to remember what they represent. That brown mess may look like someone just spread mud on the wall, but it is really a vine that you can use to climb up. Animations are also archaic. When I beat the Wendigo, the entire tribe came out to cheer me on, but when they clapped they used their entire arms like they were seals. It was a wholly disturbing sight to behold. Sound design fares slightly better, with most of the voice-overs being appropriate and not overly annoying even though they weren’t particularly well acted. Brave took me only five hours to play through, from the beginning to the death of the Wendigo. There were collectibles throughout the levels, but they only unlocked artwork that was not worth the effort. I cannot see anything that would make this game even close to worth the forty dollar price tag. 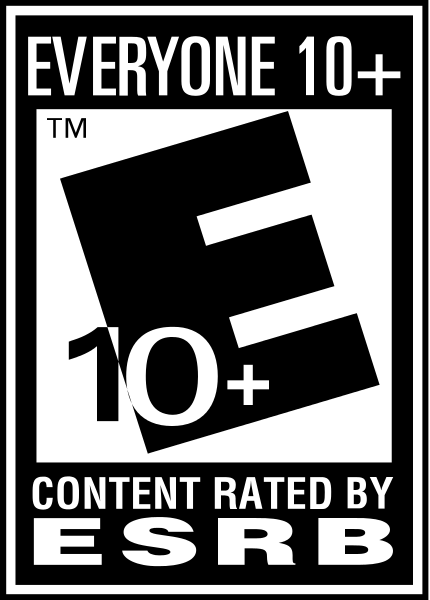 Sometimes I wonder about the general purpose of reviewing, and whether or not people really care if a game is an 8.5 or an 8.6, but then a game comes along that gives me a sense of purpose. Do not buy Brave: A Warrior’s Tale. It has the worst visuals I have seen in a long time, broken gameplay, laughable difficulty, an infuriatingly bad camera, and is nowhere near worth the purchase. If you have some dire need to play any game based on Native Americans you can find then make it a rental, but don’t say I didn’t warn you.